I spent a good part of today at my best friends house scrapping pages. I have a whole lot of travel photos to get through and figured its a good week for double page spreads wherever possible! This was the first one I completed today. We visited an orphanage in Thailand, where the girls taught the orphans clapping games and rhymes, While they were over there they developed their own little clapping game that was about being Best friends forever. You can see plenty of apricot in the layout, however the swirls and forever are probably not as obvious... The swirls are on the dark paper used for the tag in the right hand corner and the lace cutout effect bits. It is from the Kaisercraft Tigerlily collection. The word forever appears in the journalling, as I documented their song "BFF BFF, Best friends forever" etc. Feels good to use up a few photos from my never ending collection!! Te second challenge I entered (below) was for Sassy Scrappers October Moodboard challenge. 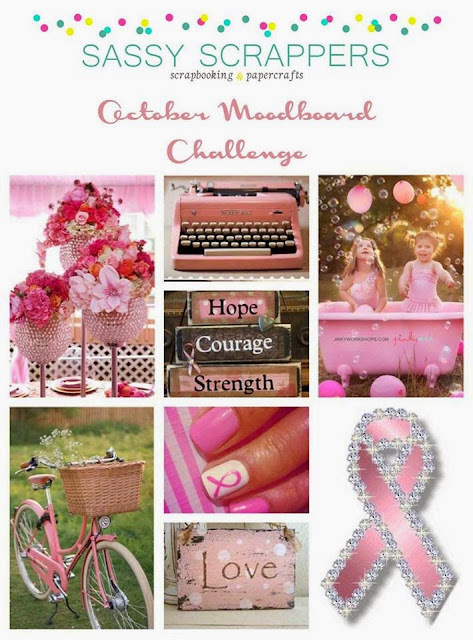 You can enter over at: http://sassyscrappers1.blogspot.com.au/2014/10/october-moodboard-challenge-supporting.html and for every entry and every purchase in October Sassy Scrappers is donating to the breast cancer foundation so head over and make sure you get your entry in! 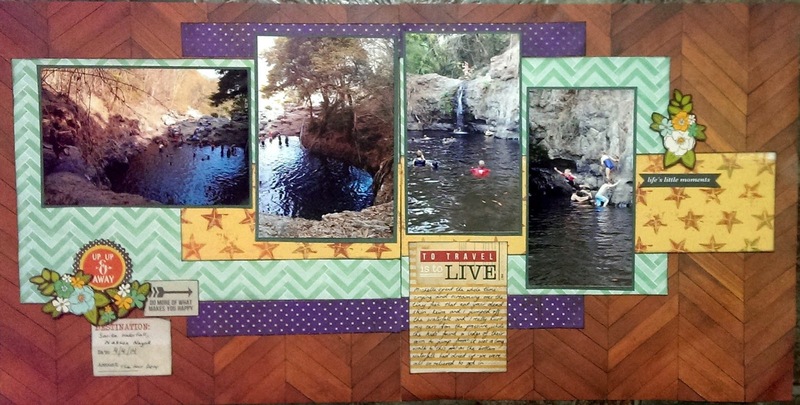 The challenge involves using the board to inspire your entry. I have been very lucky that noone I know has been affected by breast cancer so I tried to scrap around using the colour pink. 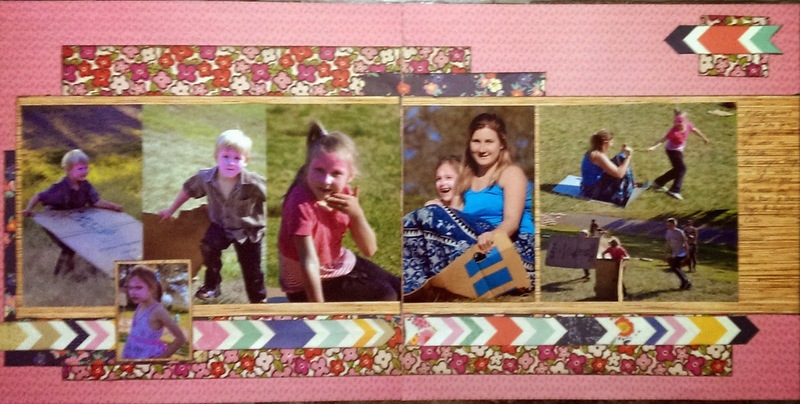 I found this set of photos from a few years back where we were all wearing a whole lot of pink zinc and put together a double layout to display all the photos. Very happy to have another 7 photos out of the pile and into an album!!! These look wonderful! A great take on the 123 challenge blog, thanks for joining in this month too! Isn't it wonderful to scrap with friends? I am always so much more productive when I scrap in company. I really miss that. Your LO's are fabulous. Love the double page spreads. Lovely work - and yes scrapping with friends makes it all worthwhile. Many thanks for joining in with us on Lasting Memories. 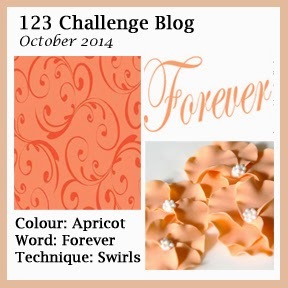 Love them all, but especially the lovely layout for the 123 Challenge Blog! Such a keepsake, Renee!!! Very nice work. I love how you have interpenetrated the challenge at 123 Challenge blog. Thanks for joining in.